A high-pivot trail bike, the Druid is the bike that Forbidden's founders always wanted to make. Headquartered in Cumberland, BC, Canada, in the shadows of the infamous Forbidden Plateau, Forbidden Bike Company is a small, rider-focused brand. Our small size allows us the freedom and agility to develop the products we want to, with no pressure to follow mass market trends. Our roots in the core mountain bike scenes of Canada and the UK have defined our acute vision for mountain bike performance. Uniquely, for a company of our small size, we have established a dedicated UK office and warehouse to facilitate our operation in the UK and Europe. We don’t have a desire to become the largest most dominant brand in the industry, but we do have a commitment to making quality products which reflect our passion for mountain biking. It’s time for high pivot technology to make the leap from world cup downhill tracks to your local trail network. At 130mm of rear wheel travel, the Forbidden Druid is a wolf in sheep's clothing. With geometry that balances stability and agility, the Druid is adaptable; nimble enough to hammer out trail rides after work and burly enough for weekend shuttles. Its high pivot Trifecta suspension platform has the ability to generate grip and pop almost simultaneously while offering an unworldly ability to absorb the big hits. All over the mountain, the more you ask of the Druid, the more it gives. After two years of development, compiling 20 years of mountain bike tech, the Druid is heading the direction of modern trail bikes. Our development process for the Druid left no stone unturned, with careful consideration of maintenance needs, rider feedback, and desire to push the boundaries of bike design. 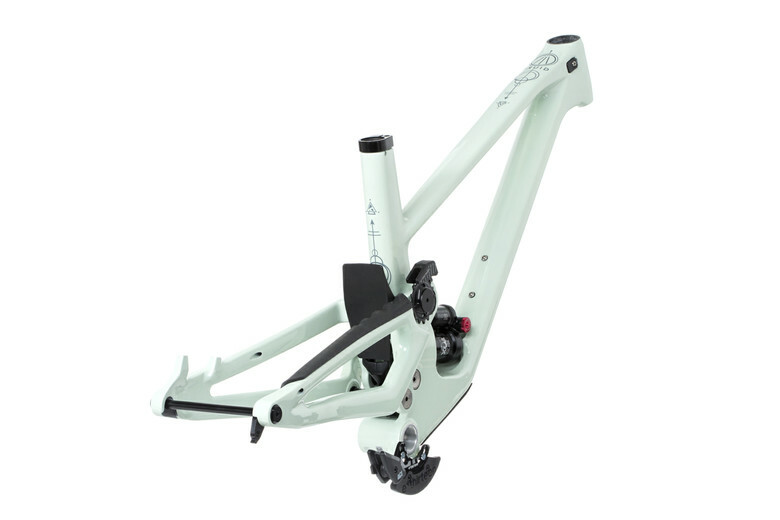 The Druid is built around a 140mm or 150mm fork with 130mm of single pivot rear wheel travel. Our goal with The Druid and its Trifecta suspension design was not to achieve its downhill capability through larger travel numbers, but to work smarter with the travel numbers that make sense for everyday riders. From your favorite loop in your local trail network, to the dream riding location you plan on road tripping to this summer, The Druid has you covered. The beating heart of our Trifecta suspension system, the Rate Control Linkage, is used to manipulate the leverage rate as the suspension compresses. In recent times we have seen a somewhat all-encompassing search for more progressivity. This is an understandable by-product of modern mountain biking. 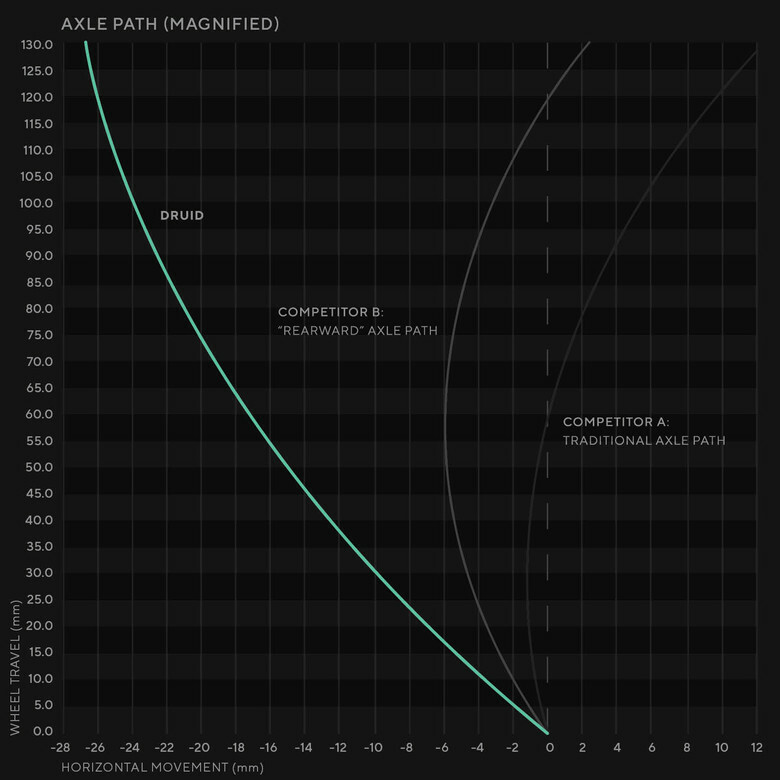 It stands to reason that as trail speeds increase and impacts become larger, the need for more mid stroke support and end stroke resistance is ever present. However, the compromise to this is that with too much progression the suspension system’s ability to absorb impacts can be negatively affected. By employing relatively small links that see a dramatic change in velocity, we can independently tune the critical stages of the shock’s compression (fig C). Supple off the top, our goal for the Druid’s mid stroke was to provide adequate support when pushed on, yet remain open enough to absorb repetitive hits with no harshness. The end stroke sees a further increase in the rate of change and is all about that bottom out resistance required to absorb the big hits and landings that come out of nowhere. The final result is a mid-travel trail bike that can outperform bikes with significantly more millimetres on their spec sheet. A bike that seems to generate grip and pop almost simultaneously while offering an unworldly ability to absorb the big hits. The Druid is available to order now in Canada, USA and the UK/EU. Druid frame kit pricing is $3,999CAD/$2,999USD/3,149GBP, and comes with a custom tuned Fox DPX2 performance elite, custom e-thirteen chain guide system, and seat collar. 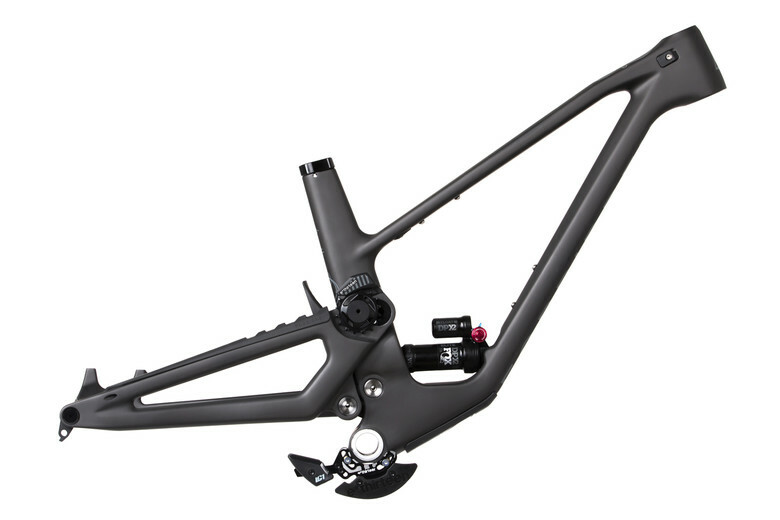 Frame kits can be ordered directly from The Forbidden Bikes website (hyperlink) now for shipment on April 12th, or through select dealers after April 12th. Matte Carbon and Gloss Moss colorways will be available in three sizes, small, medium, large. To order a Druid now visit www.forbiddenbike.com. I was all excited until I got to the part where there are no XL or XXL sizes.Small company I guess. Yo people! Buy these bikes so they can afford to make proper sized ones in the future! Nice find. I was just going by the article.